Total internal reflection of a laser beam. 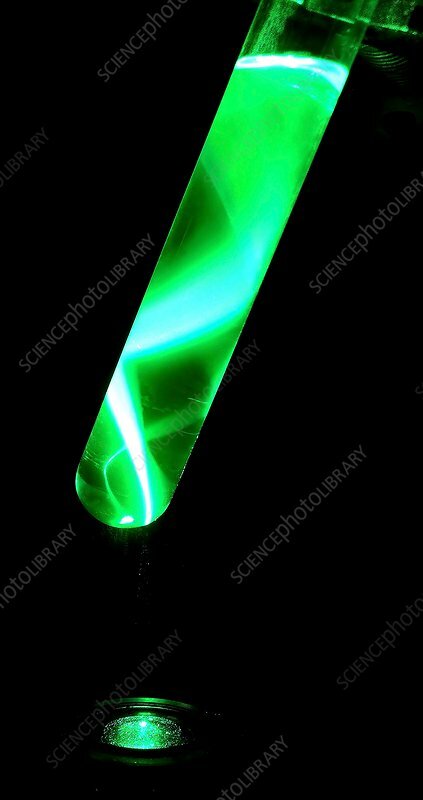 Green laser beam entering a test tube and undergoing total internal reflection (TIR). The light is totally reflected by the glass and is trapped inside the glass tube. This is the principle used in fibre optics to transmit data using beams of light.